나지막한 뒷산을 배경으로 넓직한 터에 남향으로 자리잡은 조선 후기의 주택이다. 사랑채 기와에 ‘숭정 87년’(1705)이라는 기록이 있으나, 건립연대와는 관련이 없는 듯하며 전체적인 양식으로 보아 19세기 후반에 지은 것으로 보인다. '一'자 모양의 대문채 뒷쪽에 안채가 있고, 안채와 대각선상에 사랑채가 배치되어 ㅁ자 모양을 이루고 있다. 그 앞쪽으로는 최근에 복원한 줄행랑채가 자리잡고 있다. 안채는 왼쪽부터 부엌·큰방·대청·작은방·안마루 순으로 구성된 8칸집으로, 오른쪽에 돌출하여 덧붙여진 안마루가 특이하다. 사랑채는 광과 중문간·부엌·사랑방·마루로 배치하였는데, 안채와 비슷한 구조기법을 보이고 있지만 안채보다 높게 지어 위엄을 나타내고 있다. 중문은 들어서면서 안채가 바로 보이지 않도록 1칸 꺾어 통하게 하였다. 전형적인 양반집의 배치를 보이고 있는 집으로 주위에 있는 오래된 나무들이 예스러운 분위기를 자아낸다. 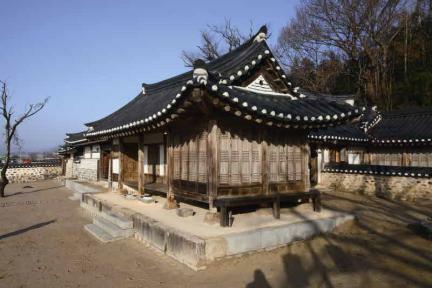 Built in the late Joseon Dynasty, this house is facing south on a wide land with a low mountain at the back. 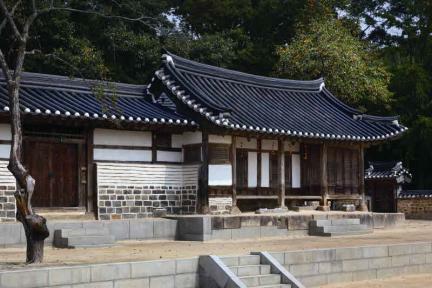 Even though a rooftile of sarangchae (men’s quarters) has the inscription “87th year of King Sungjeong (1705)’s reign,” it does not seem to be related to the construction year of the house. According to the overall architectural style of this house, it was probably built in the late 19th century. 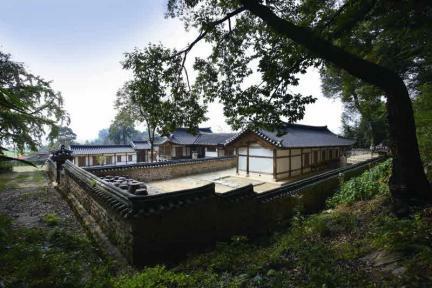 There is the anchae (women’s quarters) behind the “ㅡ”-shaped main gate quarters. 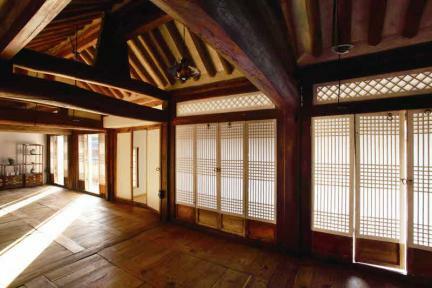 The sarangchae is placed diagonally from the anchae, forming the “□”-shaped layout together. 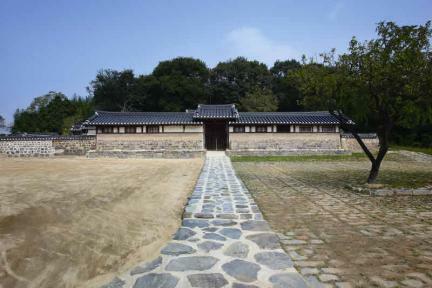 The recently reconstructed haengnangchae (servants' quarters) is in front of them. 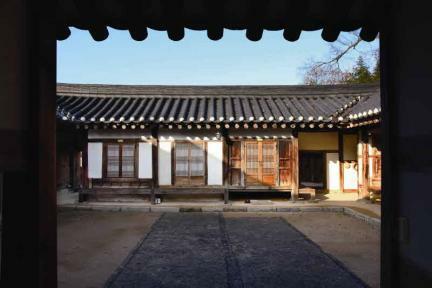 The anchae consists of a kitchen, a large room, the daecheong (main wooden floor), a small room, and an inside wood-floored space arranged from the right. In particular, the inside wood-floored space attached on the right side of the house is unique. 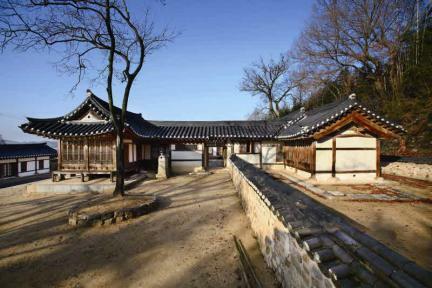 The sarangchae consists of a storage room, a middle gate wing, a kitchen, a living room, and a wood-floored space, which is a layout similar to that of the anchae; note, however, that it looks more stately because it was built on a higher foundation than the anchae. The middle gate was built a little off center to block the view of the anchae. Built in the typical layout of high-class houses, this house has a traditional atmosphere since it is surrounded by old trees. ※ Viewing of the cultural property above is usually available anytime but may be limited depending on the owner’s personal circumstances.